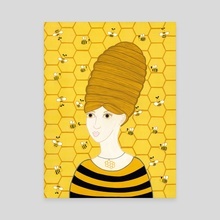 An illustration from a series about hair and nature. 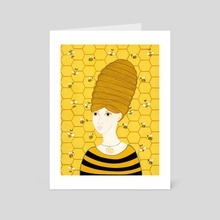 This illustration depicts the Beehive hairstyle. This painting was featured on a bottle from Collective Arts Brewery's Second Series.